I'm so happy to have Andrea here from Millions of Thoughts. I started reading her blog originally when the complete name was Millions of Thoughts Trapped in My Head--I just knew there would be interesting things to read and see, and have never been disappointed! 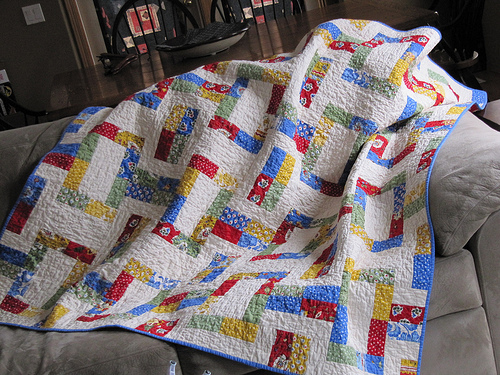 I love to quilt. 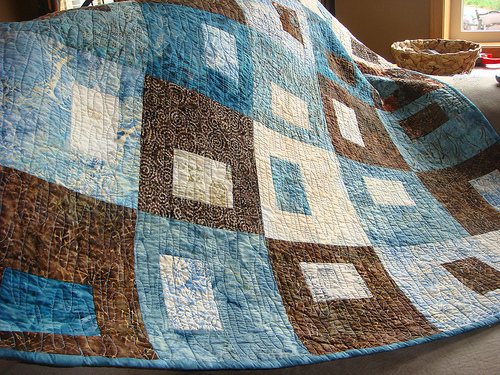 When I quilt, I can only work on one project at a time, and need to completely finish it before I start another quilt. I love to work in solid colours. 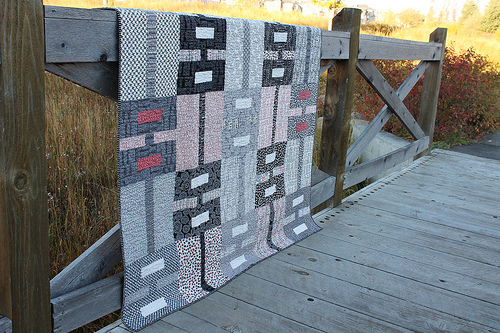 When I design a quilt, I design the pattern first in black and white, and then add the colour. I used to be a closet quilter until the world of blogging opened my eyes to the world of others who share the same passion as me. Millions of Thoughts (trapped in my head) came about years ago in 2006 when we had moved to Alberta from coastal BC. It was my musings of prairie life vs coastal life. I had just started a teaching job in a rural school, and my previous experience was at the poorest inner city school in the Vancouver region. I had so many random thoughts about my new life on the prairies, and wanted to remember it all - so I started an online journal. Back then in 2006, blogging was so new and not as public as it is now. 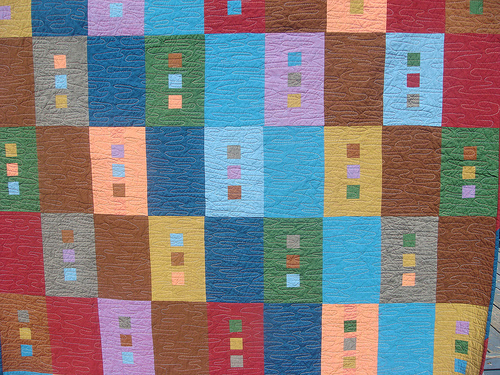 Once I started quilting, my blog became more of a way to document my quilting progress and a way to connect to others in the online quilting community. I had no idea what an amazing experience it would be for me. Were there other name you considered, and can you share any of them with us? I had not considered any other names at the time. I really just had all of these thoughts that I needed to write out. I sat at the computer and when blogger asked me for a name - I chose Millions of Thoughts Trapped in My Head - without realizing how long I would keep up my blogging and how the process would evolve over the years! Now that you are recognized by Millions of Thoughts, are you happy with it, or do you wish you could change it to something else? I am not sure that I am recognized by my blog name - but, it will be hard to transition to a new name. Millions of Thoughts has been with me for so long! 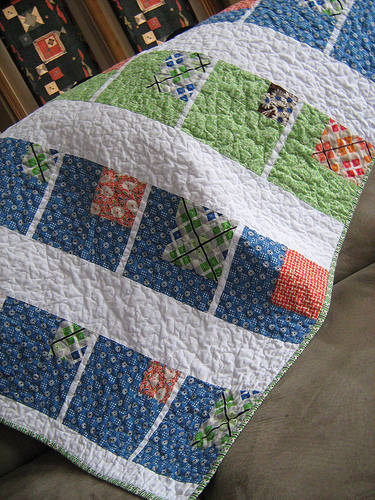 Now that my blog is more quilting focussed I would like to rename it eventually. 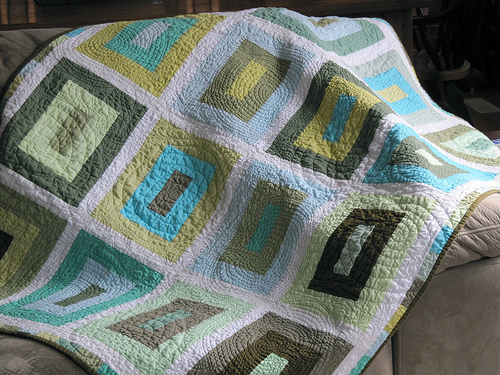 I still love to dabble in quilt design and construction of simple, graphic quilts. But, I have this gnawing part of me that always needs to learn more. Recently, I've purchased a longarm quilting machine and am training to become a pro at it so that I can quilt for others. My new longarm quilting business will be called Urban QuiltWorks, so I'm sure that over time, I will transition my blog slowly to that name. Andrea and Millie--I think they are both cute, don't you? Thanks, Andrea! I hope you will all head over to her blog and say hi. 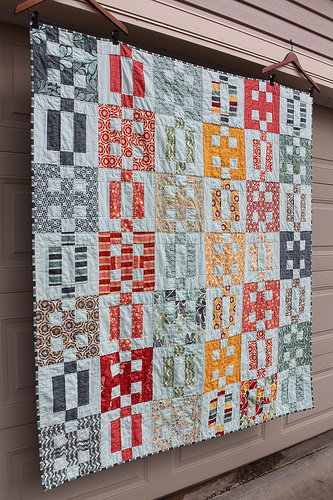 Andrea's was one of the first quilt blogs I started following...and I still do! 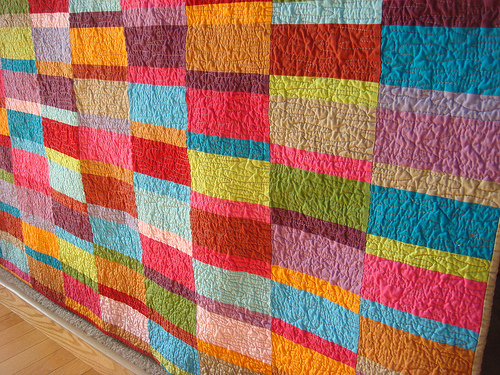 Beautiful quilts!! 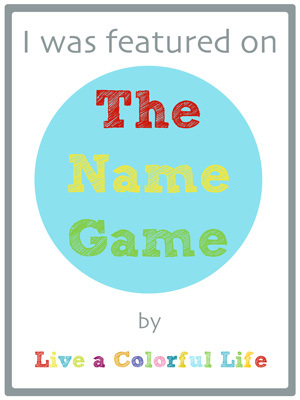 It's a great name, thanks for sharing the story! Wow...what beautiful quilts. It was nice to meet Andrea. 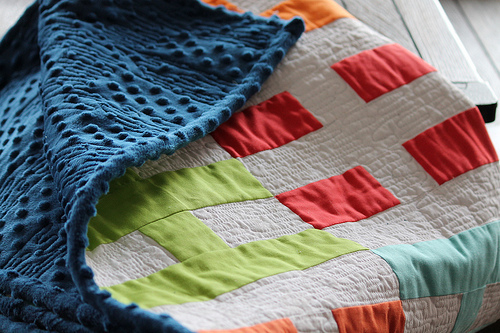 Simple graphic quilts are really attractive. Love the name, I think it applies so well to quilting and creating. I love your blog name and the story behind it! I can totally relate to having millions of thoughts going through my head, and needing to write them down to get them out. So nice to meet Andrea on your blog. I'm going to go visit her now! Heh, love that she named her long-arm! Was all worried reading about Millie's arrival though, glad she survived! You collect all my favourite people… :-) However, since I've been draughting off your blogroll for years, I shouldn't be too surprised. Haha!